Previous month EURUSD was trading within a range. I have said in my previous analysis that price will retest the 1.1130 before further bullish that was fulfilled. As per EURUSD daily chart it is in bullish move but traded in a range. 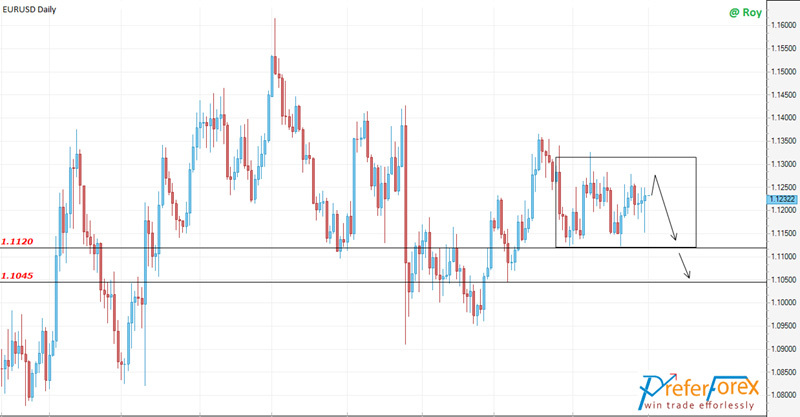 In this condition price can break either side of the range. According to Weekly chart Price has broken the support at 1.1220 then retests it. As the price is in small rang on daily chart so we have to observe the price on the upper and lower boundary of the range. But in weekly chart it has broken the support. So, it is expected the price will resume bearish movement and the target will be the lower boundary of the range 1.1120 and if it can break the level then the next target will be 1.1045. There are some fundamental issues on both currencies including US Nonfarm payroll that will also indicate further direction of the pair.